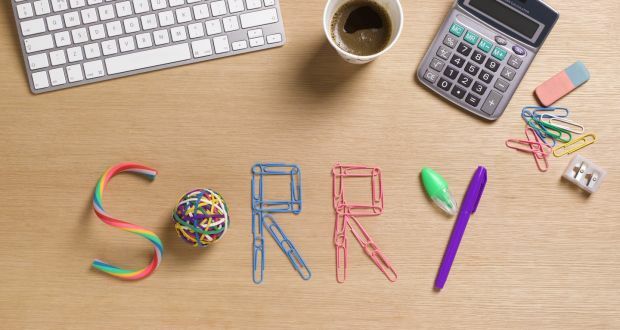 Apologies are essential to maintaining healthy relationships at work. After you’ve made a mistake, offering an apology shows that you value the relationship and the other person’s point of view – as long as you really mean it. Here are four common kinds of ineffective apologies. “I’m sorry. I said I’m sorry.” The empty apology is all form and no substance. You know you need to apologise but are so annoyed or frustrated that you can’t muster even a modicum of real feeling. So you go through the motions, saying the words without meaning them. “I’m so sorry! I feel so bad. I’m so sorry. Is there anything I can do? I feel so bad about this.” In theory, apologising is meant to rectify a wrong and rebuild a damaged relationship. But excessive apologies have the perverse effect of drawing attention to your own feelings, rather than to what you’ve done to the other person. “I’m sorry that this happened.” An effective apology has three key components: taking responsibility for your role in a situation or event, asking forgiveness and promising it won’t happen again. The incomplete apology touches on some of these elements but not all. “This simply wasn’t my fault.” Sometimes your ego gets the best of you and you don’t apologise at all. But as much as it might feel like the right thing to do in the moment, denial does little to repair a fractured relationship and, if anything, likely exacerbates it.